The Acura ZDX, will attempt to be everything to everyone; offering an X6-like mix of crossover, luxury car, sports coupe and SUV. It's debuting at the New York Auto Show, where they're used to cross-dressing. Acura announced it will debut a prototype of the all-new ZDX luxury four-door sport coupe at the New York International Auto Show. The prototype features striking coupe-like styling with the added benefit of a commanding presence and flexible utility to define a new luxury category. "The ZDX prototype is unlike anything you have ever seen before from Acura," said Jeff Conrad, vice president, Acura sales. "The prototype showcases a new level of luxury, style and refinement for Acura and speaks volumes towards our commitment to advancing the brand." The production version of the ZDX prototype will bring a new level of prestige to the Acura lineup when it arrives at dealerships this fall and offer the latest advancements in performance, technology and safety. 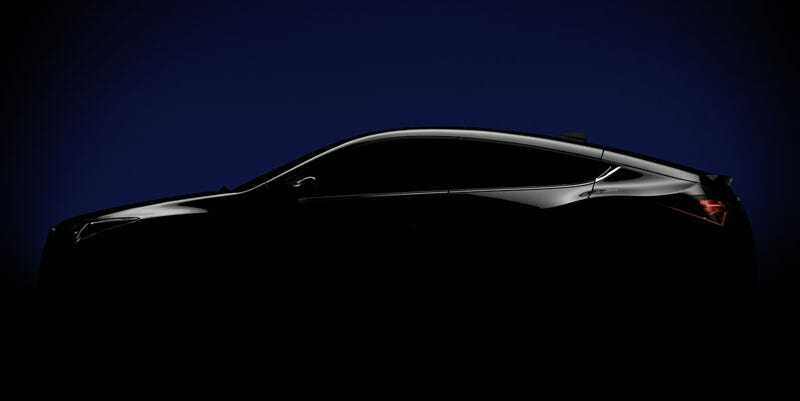 The ZDX prototype will be introduced at the New York International Auto Show on April 8, 2009 at 11:00 am in the Acura booth.